Maybe it’s because the Harvey Weinstein affair has revealed more clearly, and to more people than ever, that Hollywood is a cesspool of sexual predators and left-wing radicals – and too often, the kind of perverse movie fare sexual predators and left-wing radicals like to produce. Or, maybe it’s that audiences of real Americans, far removed from the sick culture of Hollywood, are just really hungry for some wholesome, inspiring, redemptive entertainment. 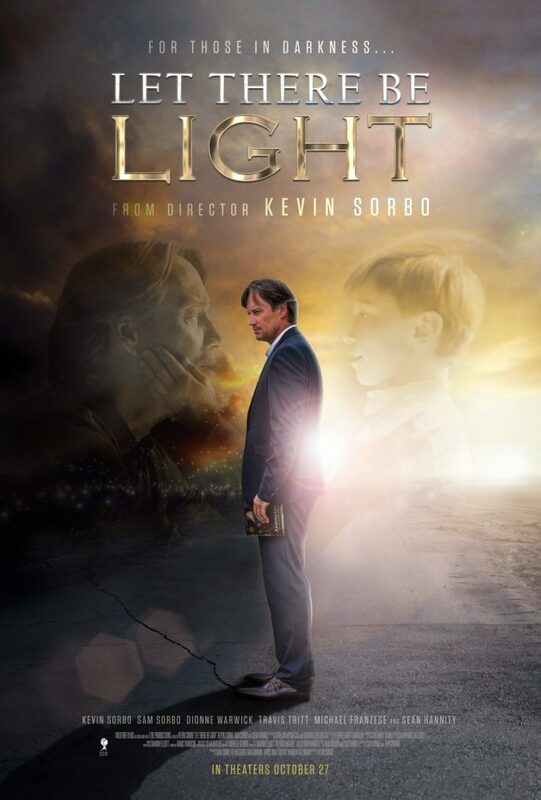 Whatever the reason, “Let There Be Light,” the independent Christian film starring Kevin Sorbo and co-written by wife Sam Sorbo, who also co-stars, ranked No. 2 in per-screen average in movie theatres across the nation during its debut weekend. The movie was executive produced – that is, funded to the tune of $3 million – by top-rated radio and Fox News host Sean Hannity and was directed by Kevin Sorbo. It garnered $5,071 per screen on some 373 screens Friday, Saturday and Sunday. The only film beating it out was “Jigsaw,” which earned $5,525 per screen, though with a far larger initial distribution of 2,941 screens. Encouraged by its dazzling debut weekend, the film’s creators expect “Let There Be Light’s”distribution to expand to far more theaters this week. The new project was written by Dan Gordon, of “Hurricane” fame, and Sam Sorbo, who also stars, and two of the Sorbos’ teenage children also appear in their debut acting roles. The film also features Hannity, playing himself, as well as music stars Dionne Warwick and Travis Tritt. George Escobar, vice president of WND Films and co-writer and co-director of the Academy Award-nominated Christian film “Alone Yet Not Alone,” confirms there’s a big change in the winds. “Let There Be Light” unfolds the story of Dr. Sol Harkens, a celebrity atheist who makes his living publicly attacking Christianity. “He is not only anxious to share his disdain for God, but he also finds great joy and satisfaction in attacking his Christian opponents on the stage,” the movie’s synopsis explains. All that profoundly changes when Harkens suffers a serious car crash that leaves him clinically dead for four minutes. “In a world where so many people are suffering, movies like this are the encouragement that we all need to face difficult times with strength, offering forgiveness and hope when it’s needed most.” – Jerry Falwell Jr.